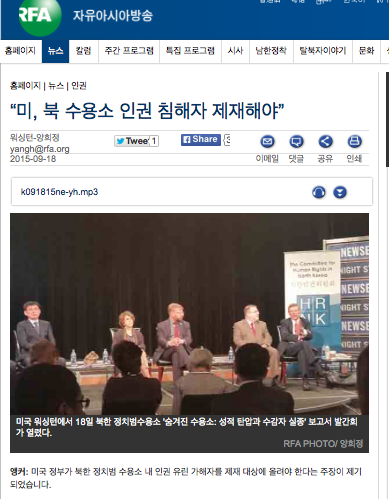 The Korea Society marks two years since the release of the United Nations Commission of Inquiry Report (COI) with a message from South Korea's Ambassador on Human Rights Lee Jung-hoon and in-studio discussion with Greg Scarlatoiu. 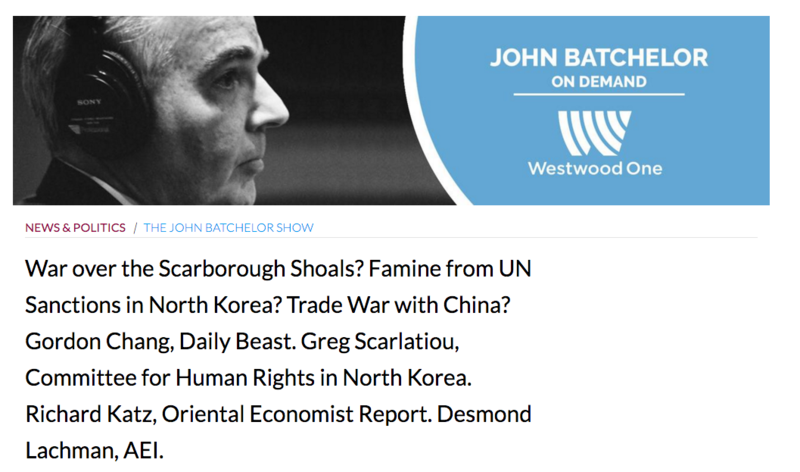 HRNK Executive Director Greg Scarlatoiu on the John Batchelor Radio Show on July 8, 2015. 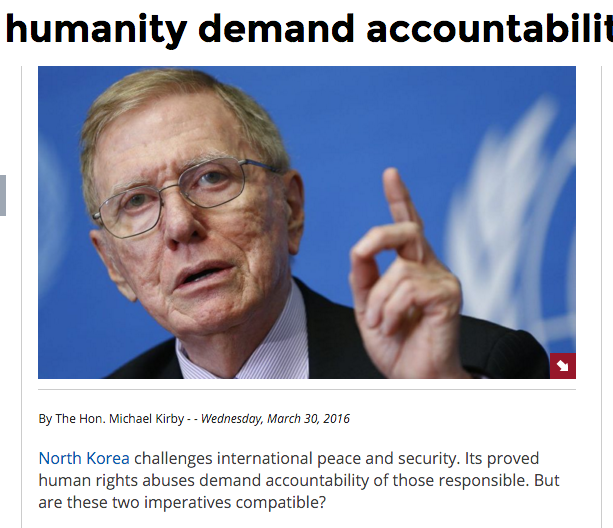 Until now, policy discussions on North Korea have generally separated security issues from human rights concerns. Raising human rights problems in North Korea has been seen as a sure way to scuttle efforts to resolve the North Korean nuclear problem through negotiations. But we meet at a time when there is growing skepticism about the possibility that such efforts will produce meaningful results. The Committee for Human Rights in North Korea (HRNK), a non-governmental organization based in Washington, D.C. and AllSource Analysis (AllSource), a leading global provider of high-resolution earth imagery solutions, have launched a report entitled North Korea: Ch’oma-bong Restricted Area… For this report, AllSource used pan-sharpened multispectral satellite imagery collected by DigitalGlobe, Airbus Defense and Space, NASA’s EO-1, and Landsat from December 18, 2006 through May 24, 2015. Imagery analysis leads to the determination that the area is a kwan-li-so (political prison camp). _What Kim Jong-un does not possess is the unquestioned, absolute and enduring loyalty of the leadership and the population. Although political culture may guide the succession, the new leader’s ability to deliver on his policy agenda affects his ability to consolidate his power. 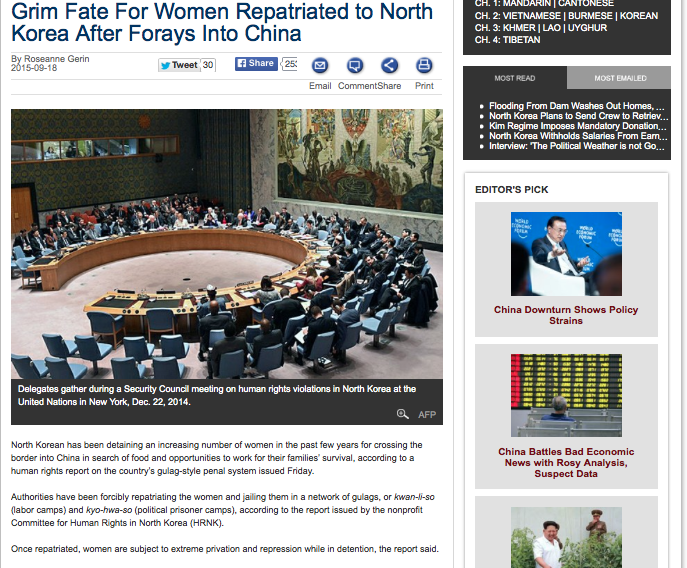 Kim Jong-unis two hereditary transitions away from Kim Il-sung’s revolutionary credentials. His claim to legitimacy is thus weaker, and his policy decisions will play a greater role in maintaining legitimacy in the eyes of the country’s elite. _Often referred to as the Pyongyang Republic, North Korea’s capital encompasses the nexus of ideology, centralization of power, resource prioritization and politically oriented privilege that enables the Pyongyang Republic to deny every North Korean every conceivable human right. 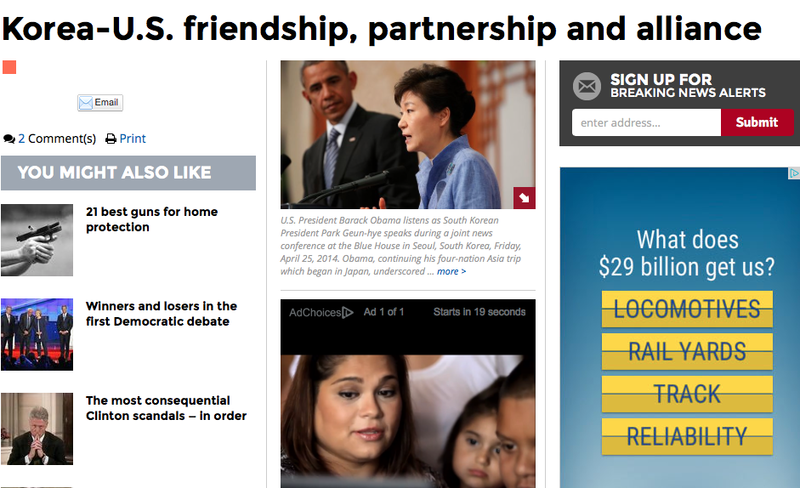 The tricky business of securing international peace requires cool heads and quiet diplomacy. Human rights demand redress for wrongs that cannot be easily compromised. Peace and security necessitate delicate footwork to preserve safety and prevent conflict. Compromise and accommodation are usually the name of that game. Stories can show how the Korean People’s Army would be integrated — if it maintains the chain of command and does not attack the South. 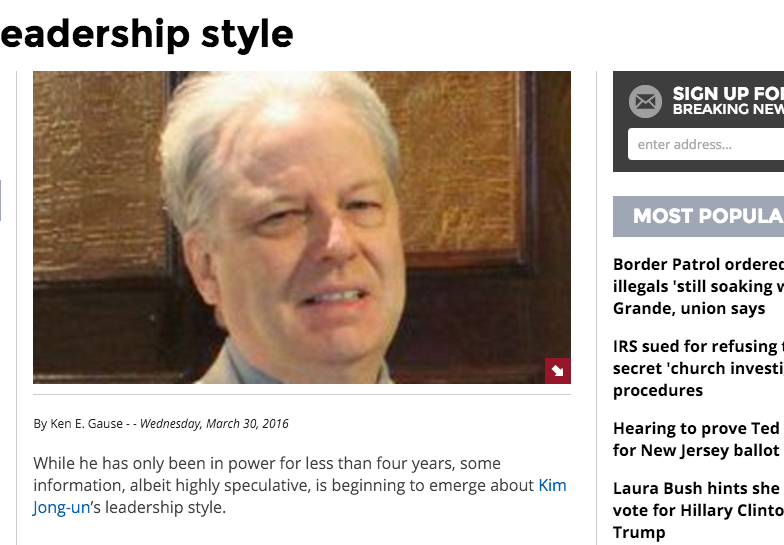 They can show what happens to scientists who cooperate to dismantle the nuclear program. 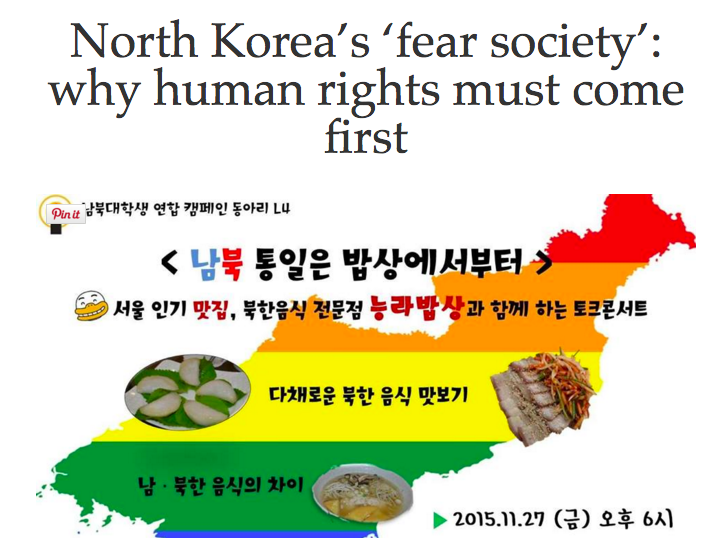 The Korean people can learn about landownership, the democratic political process and, most important, freedom. 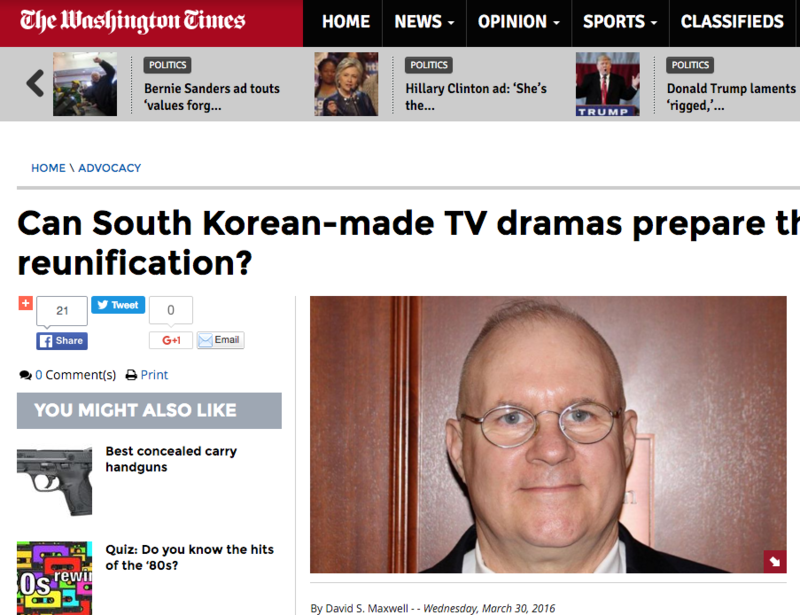 Serial dramas can educate people through the entertainment they crave. 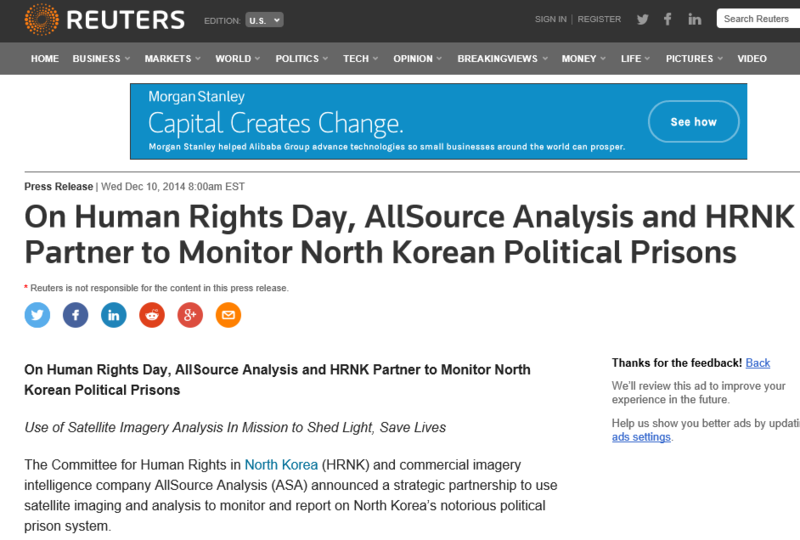 The Committee specializes in issues of human right violations in North Korea through research and publication activities that are based more on facts than on opinions. 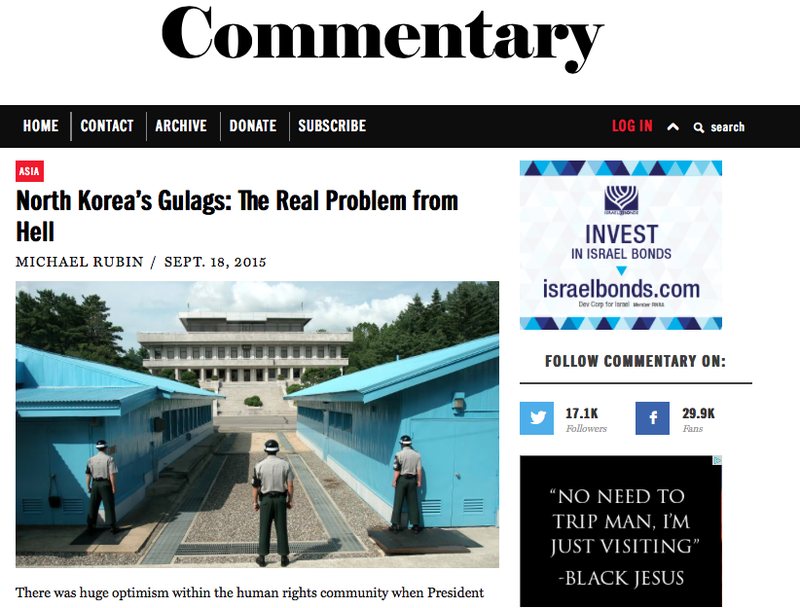 I will be writing many more articles on the Committee activities in the future, but today, I would like to introduce one particular publication by the Committee, namely, Hidden Gulag. You may already know Gulag as a prison camp used in the Soviet Union, where prisoners were treated harshly in bad conditions. 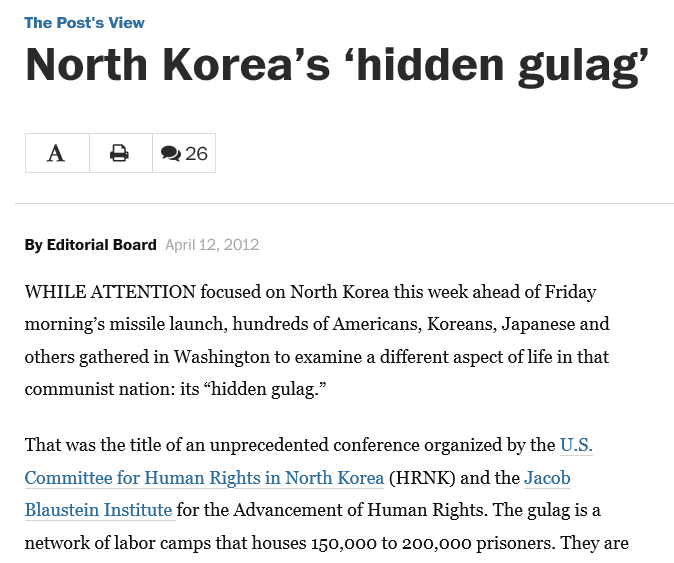 Hidden Gulag in the Committee publication refers to inhumane prison camps in North Korea that are hidden from the public view. The Committee for Human Rights in North Korea (HRNK) warmly welcomes Republic of Korea President Park Geun-hye to Washington, D.C., and commends Her Excellency’s vision and efforts toward a peaceful, prosperous, democratic and unified Korean Peninsula. The only U.S.-based bipartisan independent NGO tasked to investigate and report on North Korea’s human rights situation, our committee looks forward to President Park’s continued involvement in bringing freedom, justice and economic development to the people of North Korea. 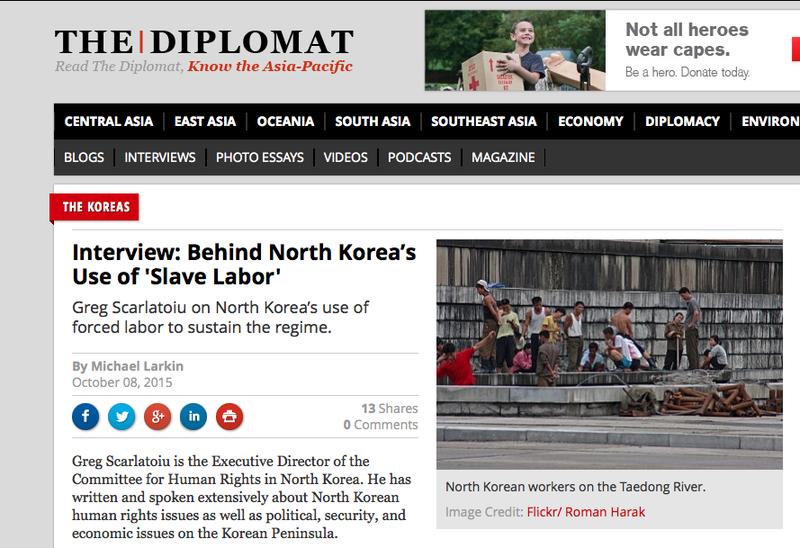 While many are aware that North Korea is one of the worst violators of human rights in the world today, less known is North Korea’s practice of sending its citizens abroad to work and earn hard currency for a government under heavy economic sanctions. These ‘slave laborers’ can be found at workplaces from construction sites in the Middle East to logging camps in Russia and restaurants in China. 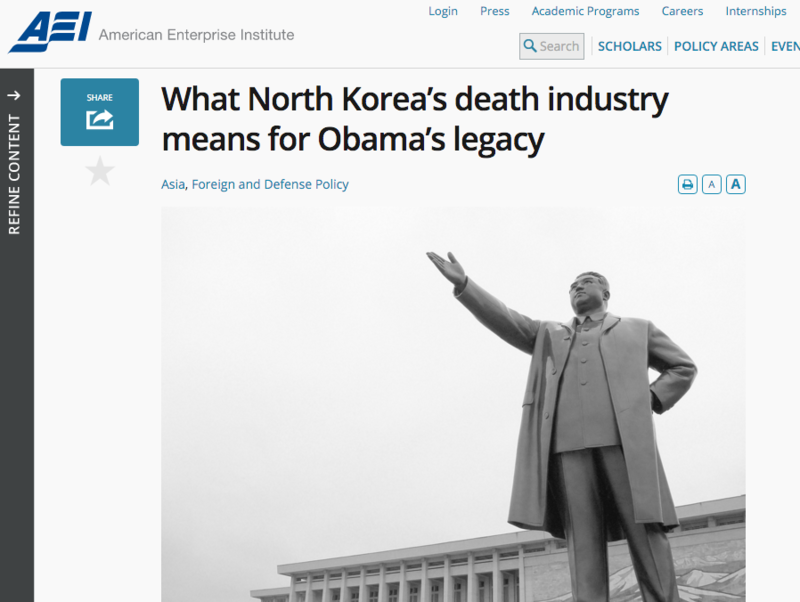 Details of the grim conditions have been revealed in a new report by the Committee for Human Rights in North Korea, a Washington-based non-profit group. 보고서 발표회에 이은 토론회에 참석한 로베르타 코헨 북한인권위원회 공동의장은 북한 당국이 유사시 수용소 수감자를 모두 살해하라는 명령을 내렸다는 유엔 북한인권 조사위원회의 보고서 내용을 지적했습니다. 코헨 공동의장은 따라서 수용소 내 인권유린 가해자의 이름을 미국의 대북 제재 대상 목록에 올려야 한다고 주장했습니다. 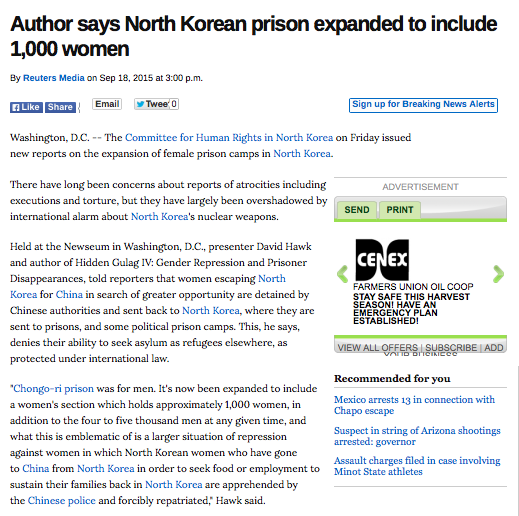 This report found that an additional women’s section of a kyo-hwa-so prison was added after 2008 with room for more than 1,000 prisoners. One former North Korean prisoner suggested that the new kyo-hwa-so No. 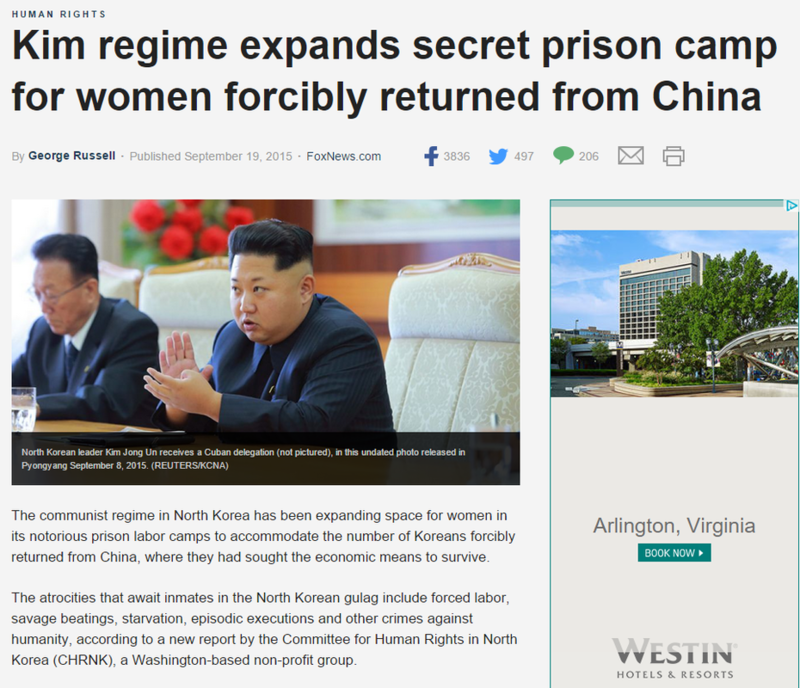 12 in Jongo-ri, North Hamgyong Province near the Chinese border was constructed to facilitate the imprisonment of detained North Koreans who had fled across the border and then been captured. That there are a disproportionate amount of women refugees is well documented in the literature. The report also documents the demolition of Sorimchon/Kumchon-ri, a “revolutionizing processing zone” section of Camp 15, the best documented kwan-li-so camp. 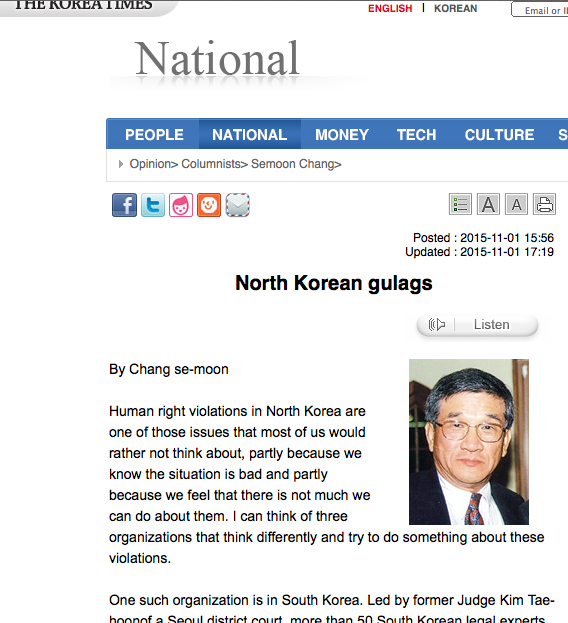 For years, The Committee for Human Rights in North Korea (HRNK), has sought to change this. 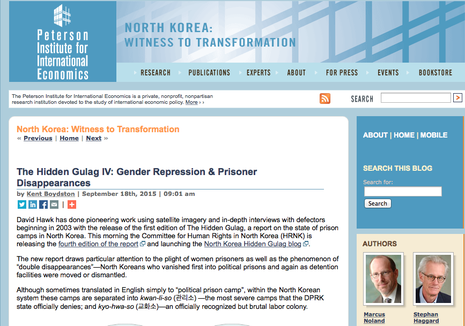 They have published a number of reports on the North Korean gulag, among other topics. Now, HNRK has launched a new website, NKHiddenGulag.org, which aims to teach about perhaps the most sustained and egregious human rights tragedy since the Holocaust. 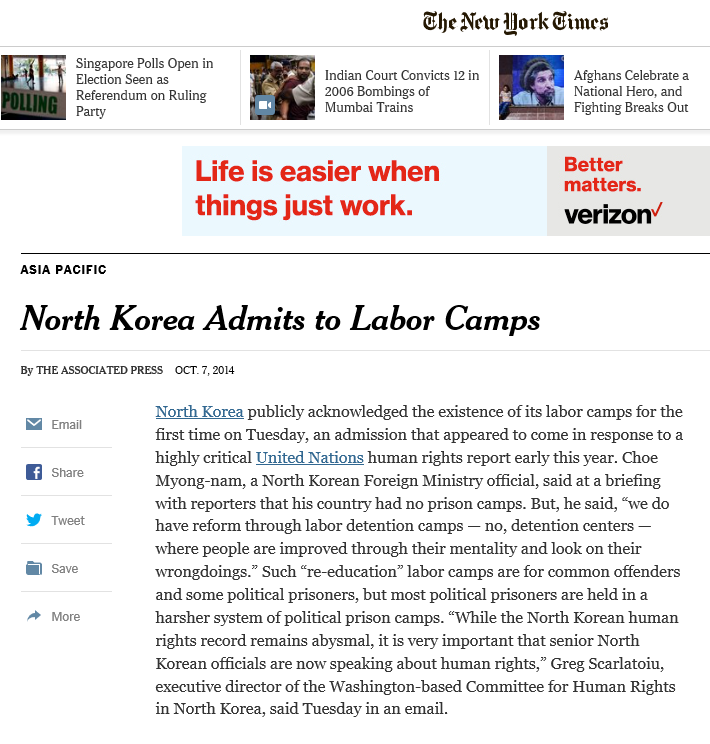 The most recent changes in North Korea’s remote and extensive secret prison network is documented in The Hidden Gulag IV, an update of the Committee’s decade-long examination of the North Korean system, published on Friday. 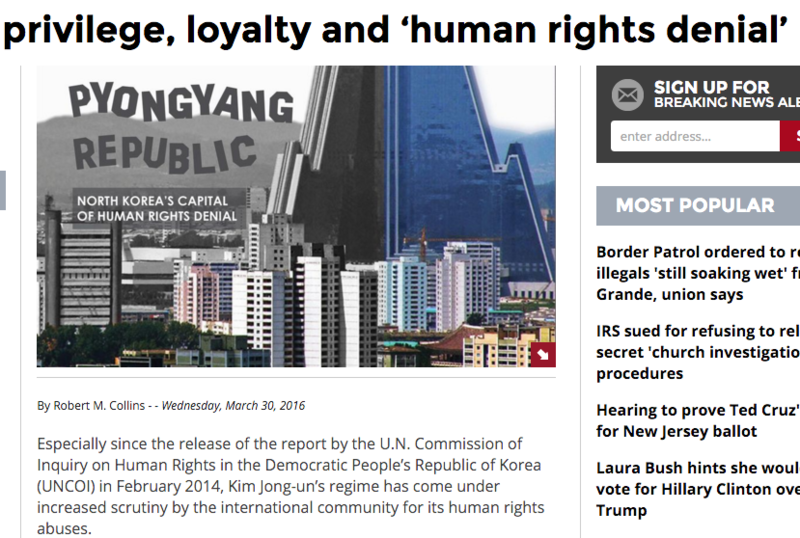 The report is buttressed by a separate analysis of satellite photographs and based on interviews with inmates who endured stays in the horrific system and subsequently escaped to South Korea after their release. “Up to 120,000 citizens are being held without due process in horrific, inhumane conditions for political reasons, and an estimated half-million people have died in these camps,” said Executive Director Greg Scarlatoiu from HRNK’s Washington, D.C., headquarters. 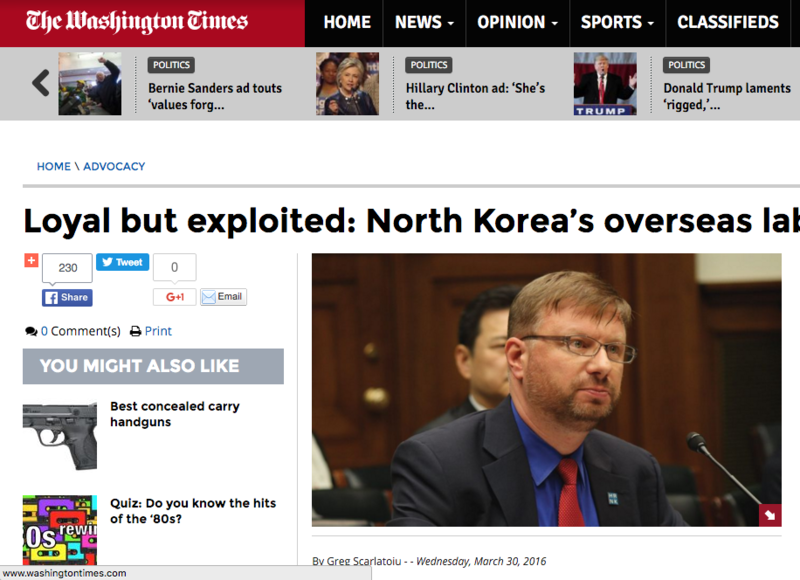 “While the North Korean human rights record remains abysmal, it is very important that senior North Korean officials are now speaking about human rights,” said Greg Scarlatoiu, executive director of the Washington-based Committee for Human Rights in North Korea. 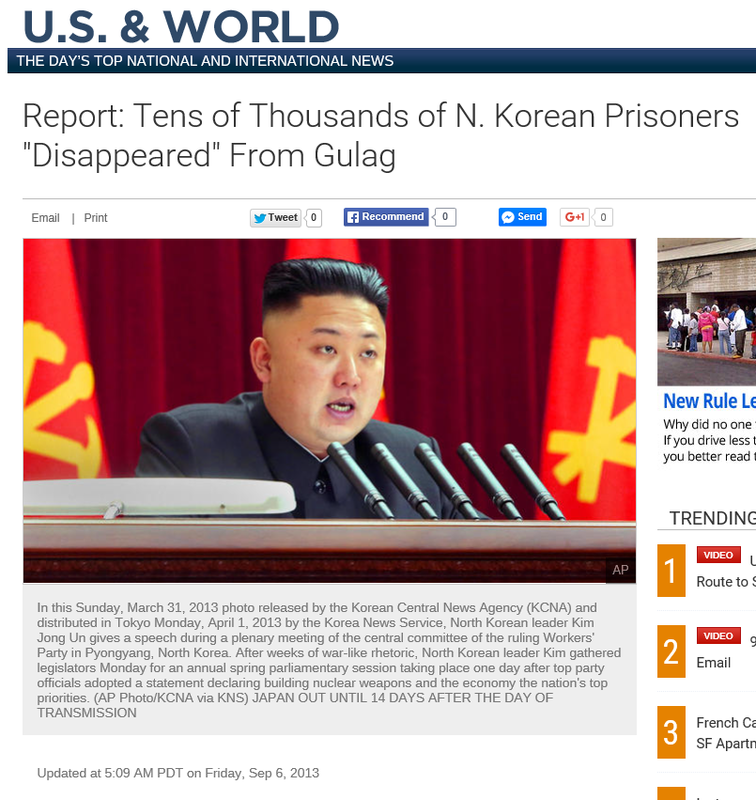 A human rights think tank said in an August report that tens of thousands of North Korean prisoners "disappeared" from an enormous gulag where food shortages are common, eliciting fear that they may have starved to death, NBC News reported. 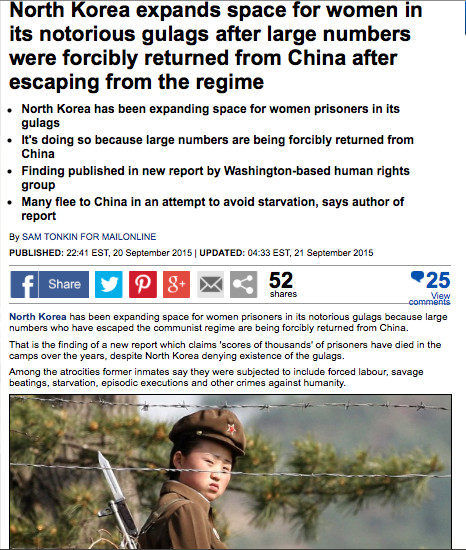 Washington, D.C.-based Committee for Human Rights in North Korea (HRNK) said in an August report entitled, "North Korea's Hidden Gulag: Interpreting Reports of Changes in the Prison Camps" that Camp 22, a labor camp larger than Los Angeles, used to hold around 30,000 prisoners, but dwindled to 3,000 before it was closed late last year. HRNK said 8,000 prisoners could have been transferred to other camps, but there were no signs that any inmates were released. 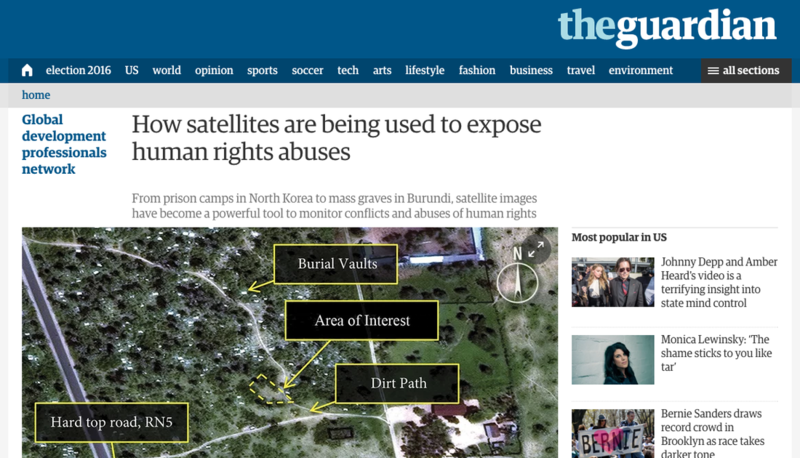 A new report by the Committee for Human Rights in North Korea and DigitalGlobe indicates that North Korea has been expanding at least one of its brutal prison camps under the leadership of Kim Jong Un. 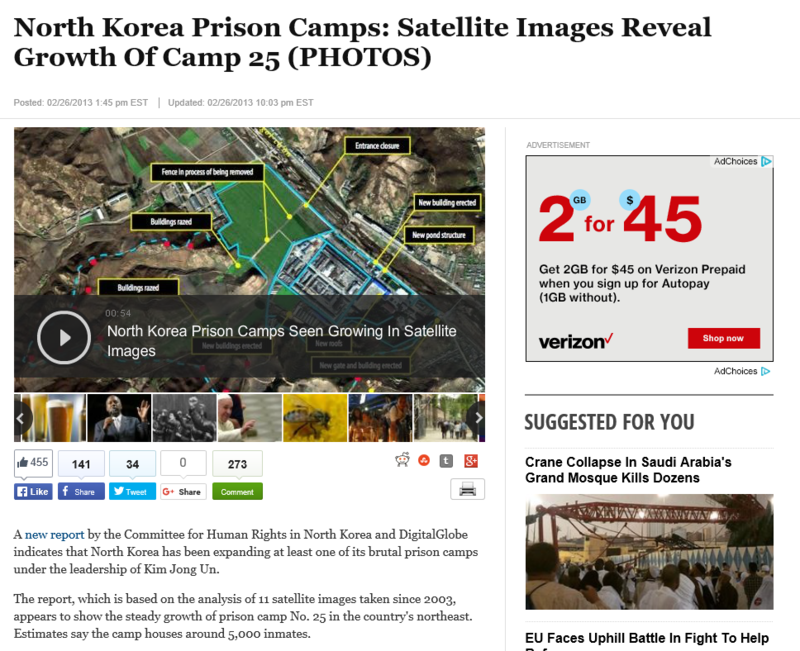 The report, which is based on the analysis of 11 satellite images taken since 2003, appears to show the steady growth of prison camp No. 25 in the country's northeast. Estimates say the camp houses around 5,000 inmates. 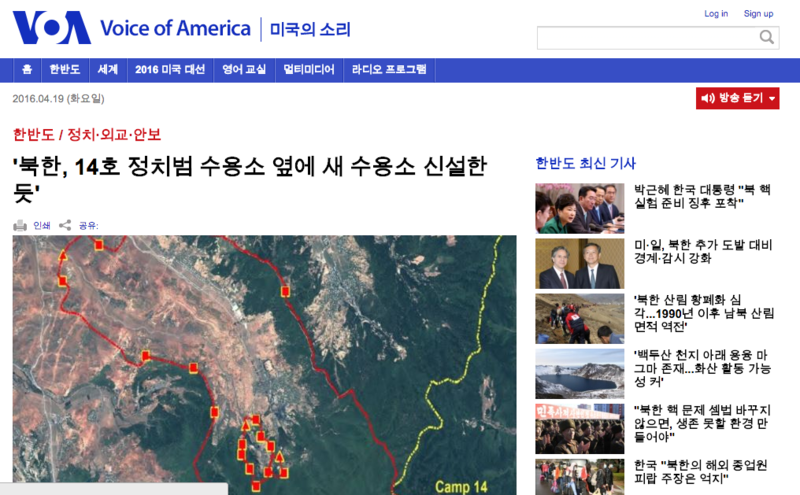 The largest by area of North Korea’s prison camps, Camp 22, appears to still be open, according to a study released Wednesday of the latest satellite photographs. 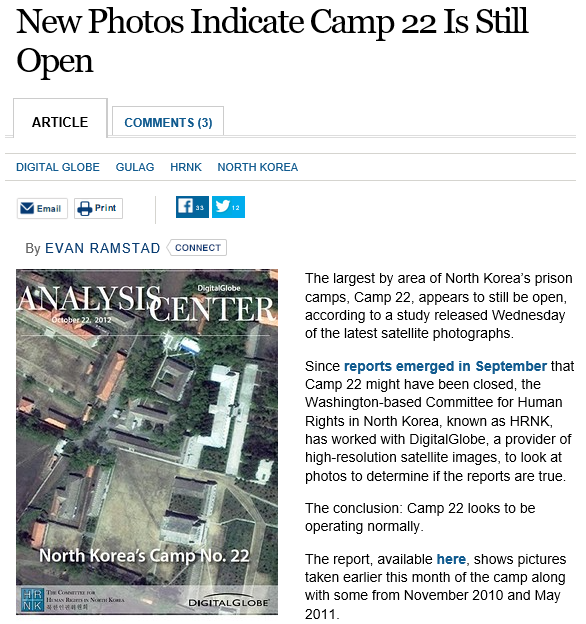 Since reports emerged in September that Camp 22 might have been closed, the Washington-based Committee for Human Rights in North Korea, known as HRNK, has worked with DigitalGlobe, a provider of high-resolution satellite images, to look at photos to determine if the reports are true. The conclusion: Camp 22 looks to be operating normally. 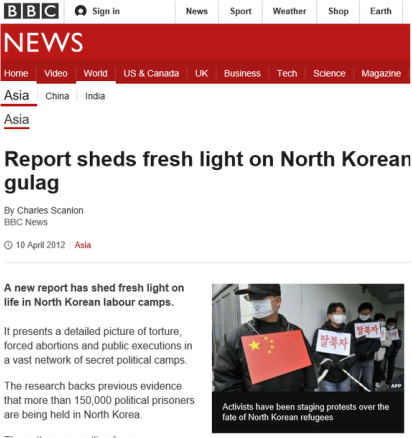 The gulag is a network of labor camps that houses 150,000 to 200,000 prisoners. They are generally arrested for no crime, sent away with no trial, never again allowed to communicate with anyone outside the camps, fed on starvation rations and forced to work until they die.